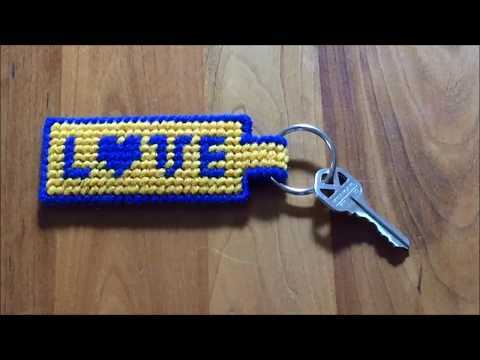 Make a simple and fun key ring for someone special. Our easy tutorial will show you how. 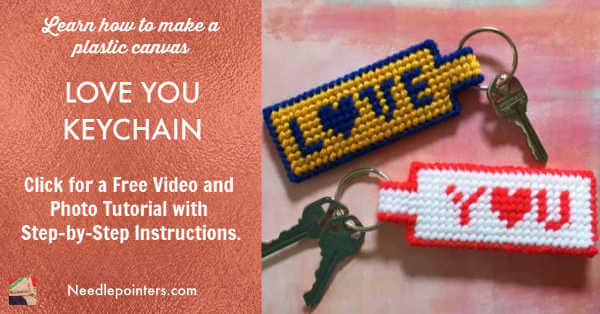 Watch this video tutorial and read the following step-by-step photo tutorial to see how to make this plastic canvas key ring. 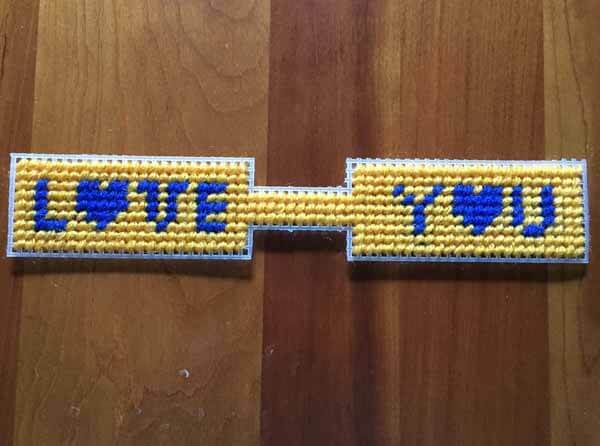 The free printable "Love You" chart is at the end of this article along with links to supplies. 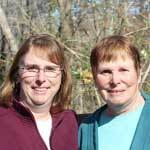 If you purchase supplies through these affiliate links we receive a small commission which enables us to continue making video. 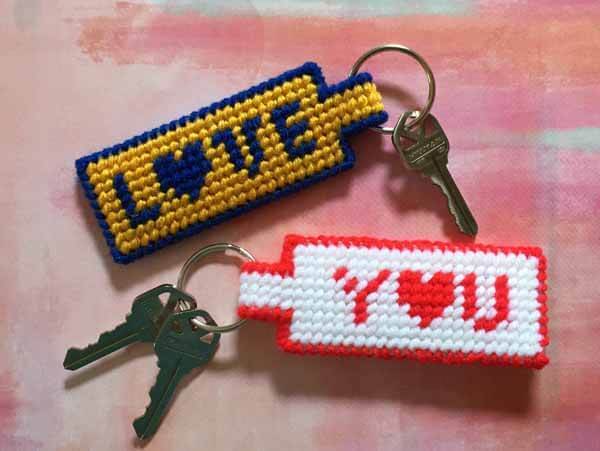 Click to watch the "Love You" Key Ring Tutorial video in Youtube. 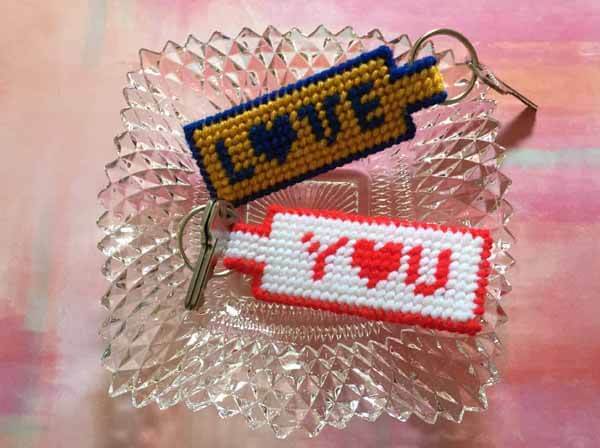 Print the PDF file for the Love You Design. 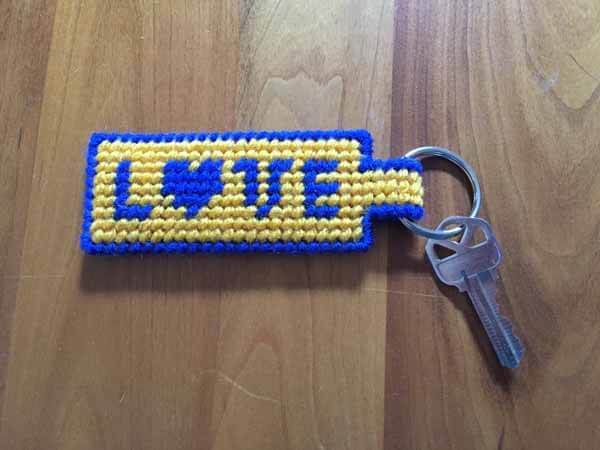 Cut the key ring shape from 7-count plastic canvas. Select worsted yarn in any color combination. This is an excellent project for using leftover yarns from other projects. Follow the chart and stitch the design on the plastic canvas using the tent stitch. 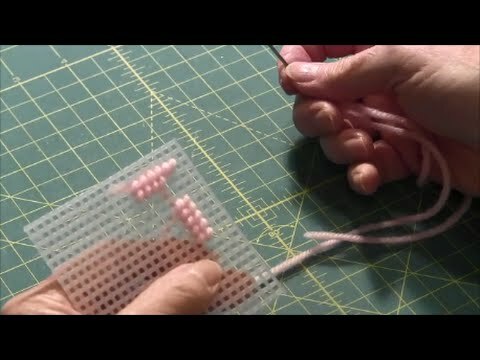 For a tutorial on how to do the tent stitch, watch our video after the instructions. 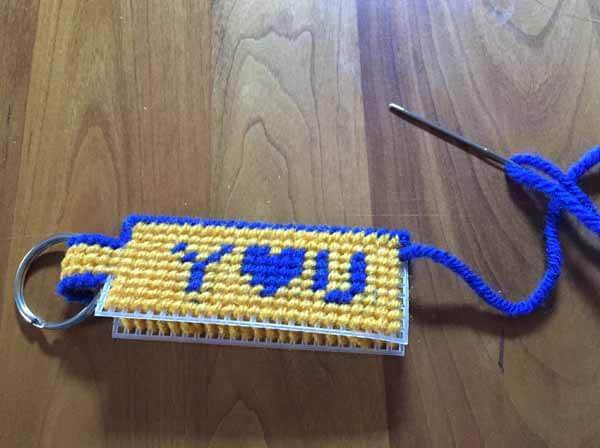 After stitching the design, complete the background using the tent stitch. Finish the edges of the bridge between the two sections with an overcast stitch. 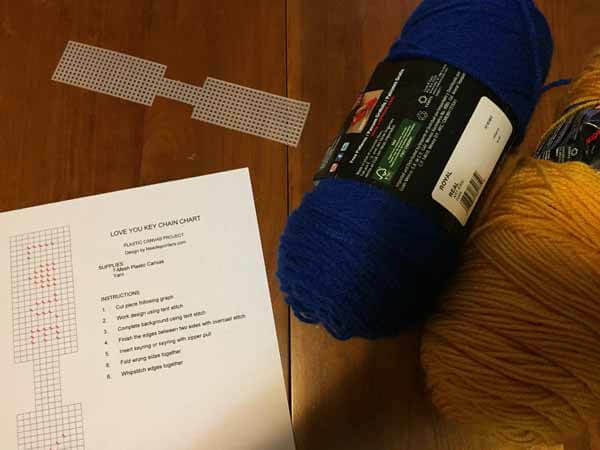 A tutorial on how to do the overcast stitch is after the instructions. Insert ring for key ring or ring with zipper pull. 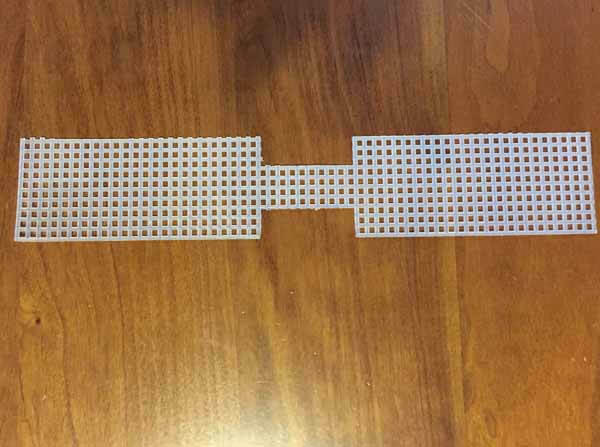 Fold the two sides together, with wrong sides together. Whip stitch the edges together. 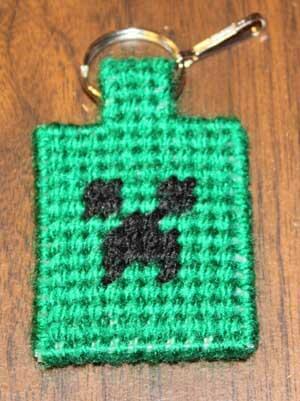 A whip stitch tutorial is after the instructions section..
After whip stitching the edges, the key ring is complete. 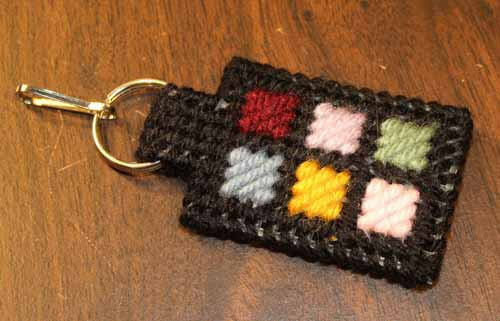 This key ring makes up quickly and is a nice gift for Valentine's Day, Mother or Father's Day or as a stocking stuffer. 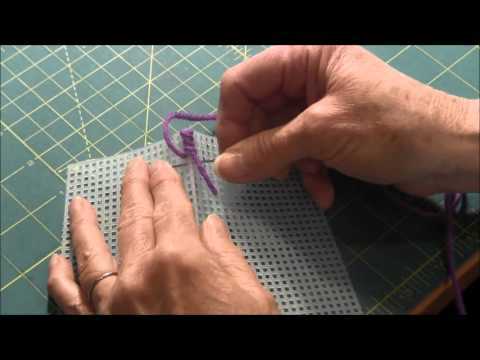 Tent Stitch Tutorial - Click the image below To watch the video In Youtube. The continental stitch is a type of tent stitch. Overcast Stitch Tutorial - Click the image below To watch the video In Youtube. 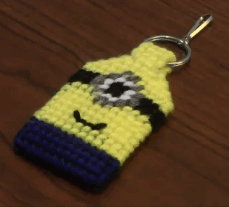 Whip Stitch Tutorial - Click the image below To watch the video In Youtube.